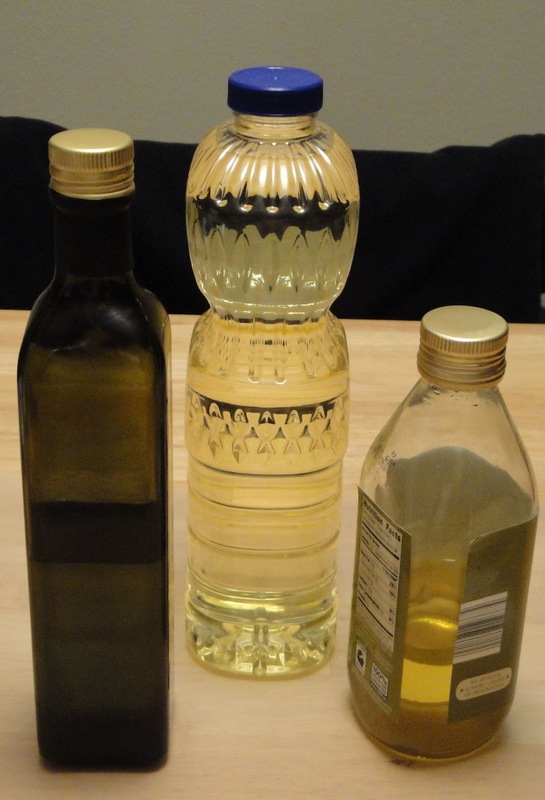 There's a lot of cooking oils available on the shelves, and not all cooking oils are equal. If you are a cook / chef you are probably familiar with using cooking oil. One of the most common cooking oils is vegetable oil. Here is a short list of different types of cooking oil and use for each of them. Vegetable oil is probably the most common cooking oils. It can be found for use in recipes and can be used for frying. Vegetable is a blend of several oils, such as corn, soybean, palm and sunflower. Canola oil is related to cabbage and Brussels sprouts. Canola oil is healthy for you. It's good for cardiovascular health it contains omega-3 and low saturated fats. Perfect for light cooking. Corn oil is extracted from germ of the corn kernel. Use in salad dressing and dips. Sunflower oil is high in vitamin E. Stands up well to high heat. Olive oil is the beloved Mediterranean liquid. Olive oil is the oldest known culinary oils. There are different varieties of olive oil, extra virgin, virgin, extra light and refined. Extra virgin olive oil is the most common. Use for stir frying, cooking and sauteing. It said to be the most healthy of all the oils. It's high in mono unsaturated fat which has shown to help reduce the risk of heart disease. Folks use it daily in their meals, drizzle it over a wide variety of foods. Not good for frying on high heat. Peanut oil is best for frying. It stands up well to high heat. Made from one of America's favorite nuts... peanuts! It's best to store cooking oil in a dark, dry place, such as your pantry. You will know your oil is rancid if it takes on a bad smell, in this case you should toss it and buy fresh. When it is time to discard used cooking oil. It should never be poured down your kitchen sink. Oil can block pipes. The best way to discard oil is to pour in into leak proof container and discard it with the rest of your trash. I'm a rookie in the kitchen, so this will help me out. Thanks for sharing this. Keeper!!! This is very helpful! Thanks, Christine, for sharing it. I use so many different kinds, mostly olive oil, rice oil and peanuts oil. Very informative, about the cooking oils, which I already knew! Thanks for sharing! Great tips and information. Thanks for posting this. Very nice post Christine and very informative. I never use sunflower oil and I am not sure why especially that it holds up well to high heat. I am going to have to try that. Thanks! Hope you are having a lovely weekend. I enjoy your "Kitchen Chew" articles and never fail to learn something new! I'm glad you like the Kitchen Chew. I love your informative posts!